has been granted by the IGA to help shape the coastal communities of Labrador and Northern Newfoundland. 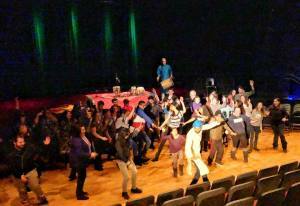 “The 43rd Labrador Creative Arts Festival was an exciting and fun filled adventure for all participants! This year’s theme was “Transformation”. Transformation is the process of changing raw materials into visual art, energy into dance and words into theatre! It is also the process of changing your physical surroundings, your self-perception, and your plans. Labrador continues to be transformed as it changes from a remote territory into a strong participant of the indigenous world! Transformation is the goal of the festival: To turn creativity into performance, art into memory, and possibility into reality! The 2018 festival saw 10 schools from Labrador write, direct and perform their own play for many audiences in their home communities and Goose Bay. 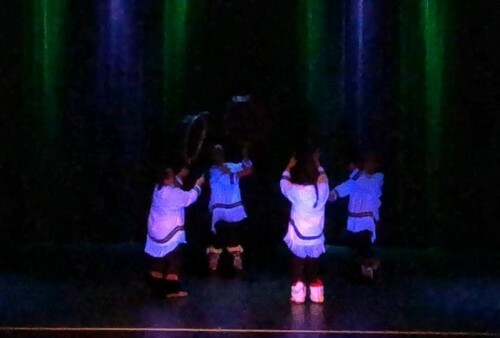 The performances by these young Labrador youth were very dynamic – we saw creative expression of their heritage in so many formats: multi-media, dance, theatre, legends, visual art, and culture through the message of how things have been transformed over the years. The collaboration we saw to put off these performances was fantastic. Youth got to work together to express themselves and listen to others, all while building their own self-esteem and confidence. There certainly is a lot of talent here in Labrador! The festival this year brought in 13 visiting artists and planned Skype sessions with 3 National Film Board producers/directors. The 13 artists that were on site brought many talents with them to share with the youth. We saw workshops in Bollywood dancing, Indian traditional singing and the tabla drum, broadcasting, comedy, visual arts, art therapy, authors/editors, improv, Inuit singing and drumming, lighting and sound technical support, film-making and dance expression. The artists made visits to the local schools, worked with the students from the coast of Labrador, preschool children in day cares, both libraries in Goose Bay and Northwest River, and the Labrador Correctional Center. Two artists went up the coast to Postville and Makkovik. From all reports received – all enjoyed their visits and have many memories and stories to tell! The festival is able to bring so many people together and share so many talents and experiences that some would not get to see otherwise – a fantastic opportunity for our Labrador youth!